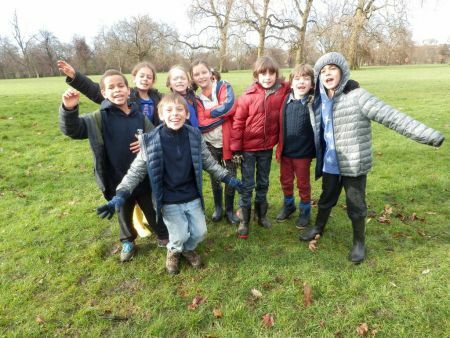 Drop your 8 - 11 year old off at our Discovery Centre in the heart of Hyde Park for a day of activities, taking inspiration from the great outdoors! Exploring the wilder parts of Hyde Park, collecting sticks, stones, leaves, seeds and other natural resources to make a giant outdoor ground sculpture. Using magnifying glasses to discover and be inspired by nature's hidden shapes and designs. Uncovering nature's hidden habitats and then sculpting a clay habitat to take home. Being awarded a 'Nature Explorers Club' badge and passport - every time your intrepid explorer visits our Discovery Centre they will get a brand new stamp! Please be sure your Nature Explorer arrives with a packed lunch, water bottle and is dressed in warm, waterproof clothing and footwear; they will be outside for most of the day. Further details will be sent to you upon booking. Please note: When you click the 'Book now' button you will be redirected to our event booking and payment website.